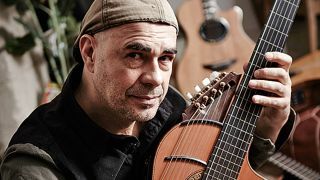 Antonio Forcione’s been described as the Hendrix of the acoustic guitar - but how will he deal with the 10 questions we ask everyone? 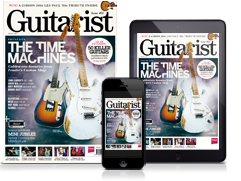 “My very first guitar was a Suzuki and I got it aged 10. I got some drums first, so I engaged in playing drums quite loudly for hours and hours every day and the shoemaker that lived downstairs must have been contemplating suicide! 2. Suppose the building was burning down - what guitar from your collection would you save if you could only save one? 4. When was the last time you changed your own strings? 5. If you could change one thing about a recording you’ve been on, what would it be and why? 6. What are you doing five minutes before you go on stage and five minutes after? 8. What’s the closest you’ve come to quitting music? Antonio’s latest album is Compared To What with Sarah Jane Morris.